There are thousands of bands in Brooklyn, but if The New Yorker swoops in one night a year to choose a handful of them to spotlight, it's more of a career boost than being gushed about on Brooklyn Vegan and Pop Tarts combined. And that's just how it is, my friend. It's easy to describe the The New Yorker's showcase at the The Bell House on Friday your standard attempt to expose the New Yorker's middle-aged readership base to what "those crazy Brooklyn youngsters are listening to these days," but Sasha Frere-Jones and Kelefa Sanneh (above) are no dilletante slouches, and showed some serious cred in curating "Brooklyn Playlist: A Special Concert Featuring Bands from the County of Kings." (Especially if you ask Bon Iver's Justin Vernon, but I'll get to that in a later post). 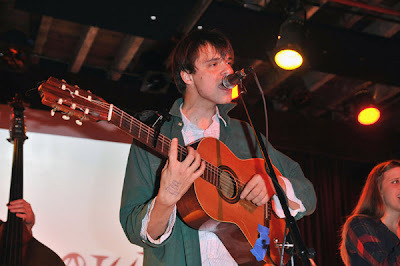 Granted the Dave Longstreth-led Dirty Projectors are hardly unknowns, having already collaborated with David Byrne and Bjork, and having released their fourth full-length studio album, Bitte Orca, to gushy reviews in the usual online media, as well as an EP, Temecula Sunrise. 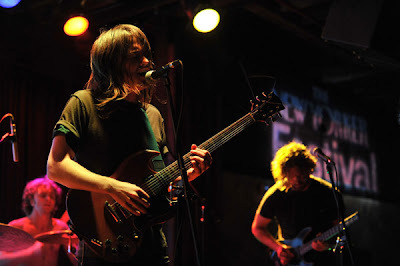 I was surprised to hear, live how much their sound resembled that of the most recent incarnation of Animal Collective; being it's one of those few handfuls of bands with sounds that manage to be both un-melodic and pleasantly beautiful. Their live show relies heavily on acoustics (in every sense of the word); the tight harmonies of singers Amber Coffman and Angel Deradoorian, whose voices, like Gabriel's trumpet, tend to explode out from heaven at all the right moments. I didn't get to catch much of black-metal band Liturgy or House of Ladosha, described as a "dark-crunk collective," but I had to post about them anyway because their "glam-terror" posturing is unironically weird. (Or maybe it is ironic. It's hard to tell). In any case, we spoiled hothouse flowers living in Brooklyn tend to believe that as we go, so goes the nation. But when you think about the circulation of the The New Yorker (which even includes lonely, pretentious 7th grade girls in Stillwater, Minnesota, which I know from a long time ago in another life), it all starts to become clear. 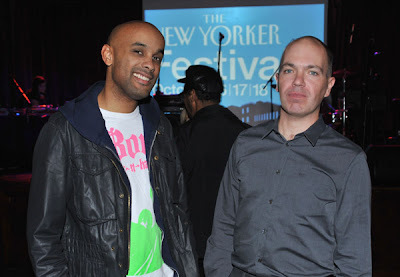 Frere-Jones and Sanneh's blog post about their selections is on the New Yorker site, and even includes Mp3s from each act (I'll start you off below).